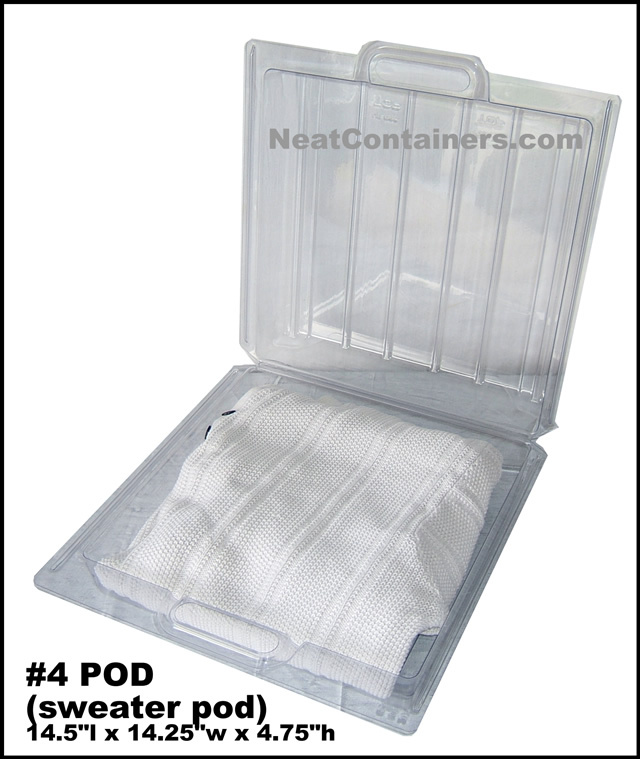 #4 Sweater Box - get and stay organized. 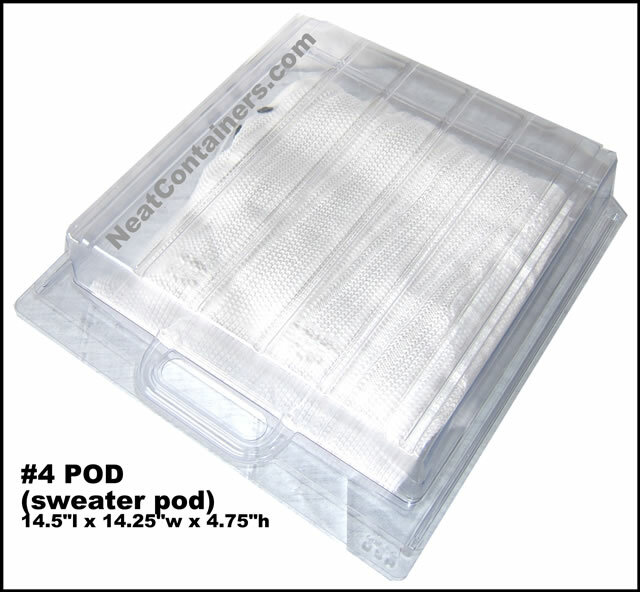 NOTICE: THE #4 aka Sweater/Boot POD is now shipping in the "two piece style" until otherwise noted. This style is FULLY compatible with the one-piece version. It's our #4 pod often referred to as the "Sweater" pod. 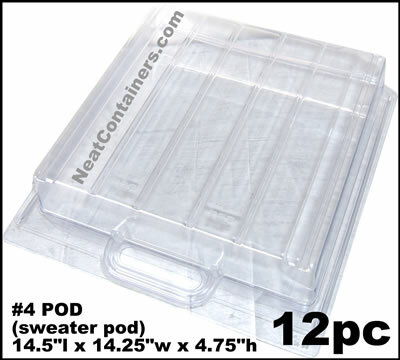 Measuring approximately (outside dimensions) 14-1/2" x 14-1/4" x 4-3/4" (inside) 12"x12"x4.75", the #4 is a multi use container that can fit more than one regular adult sweater along with other items such as boots, large shoes, purses, "fat quarters" and more. 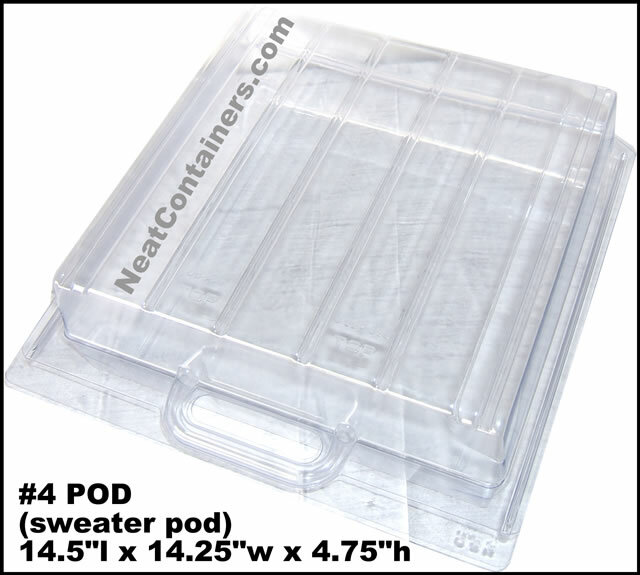 This product was added to our catalog on Wednesday 28 June, 2006. 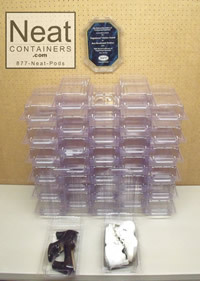 I love your Neat Containers. I ordered 36 x #1 Shoe Pods and ..